The ‘Oss & The Ox is a contemporary outdoor performance event that brings the excitement and immediacy of ancient ritual into new, urban contexts. 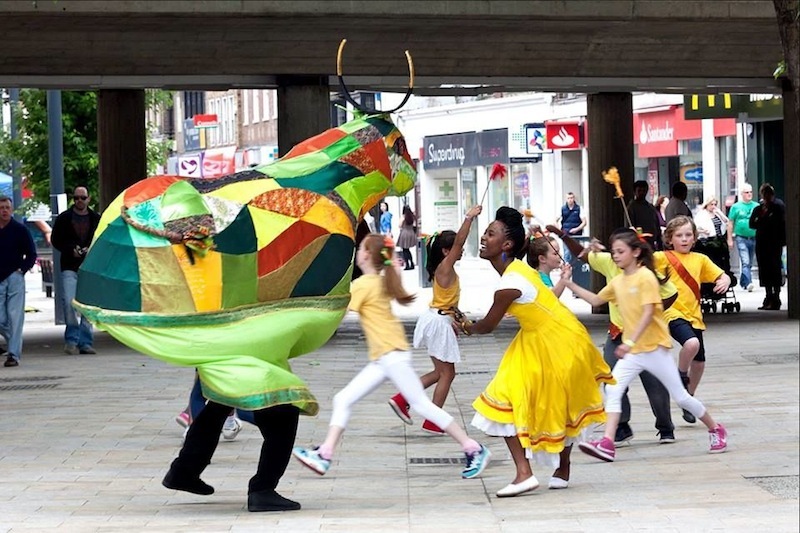 Directed by choreographer Kate Flatt and music director Adriano Adewale, The ‘Oss & The Ox is a lively, processional street performance project bringing together the Ox (the Bumba meu Boi) from Brazil and the ‘Oss (the Hobby Horse) from England. The ‘Oss and the Ox are two figures in large, sculptural costumes performing vigorous folk-inspired dance. 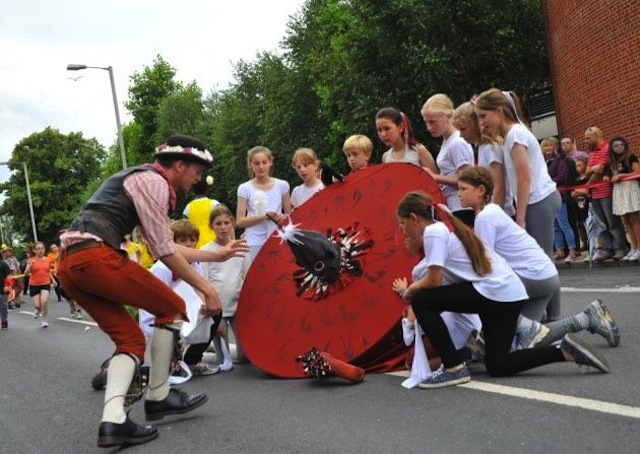 Each figure will lead a processional street performance from opposite ends of a town or city site, accompanied by live music, to a central, celebratory mock battle featuring vibrant, folk-inspired choreography and audience interaction. – a touring version performed by 8 professional artists, suitable for a range of outdoor festivals.